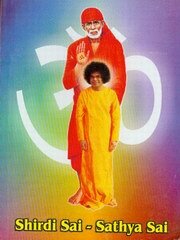 This book is a comparative study of both the Sai Avathars i.e Shirdi Sai and Sathya Sai. It has lot of information from the Nadi Texts and other great epics. Sathya Sai Shree Lakshmi is a dedicated devotee and student of Shree Sathya Sai Baba, which she sees as hers only identity. She is currently doing an M.Phil in Sai Literature and wishes to continue to write books.